If you’ve heard it once, you’ve heard it 20 times: New York is a walking city. Sure, you’ve got yellow cabs and Ubers and the Subway, but getting around on foot is the best way to cram in all the sights, sounds, and foods. Get on your walking shoes, friends, we’re about to hit the pavement. Here are the best walks in New York City. Hudon River Park is an ace spot to spend some much-needed strolling time. 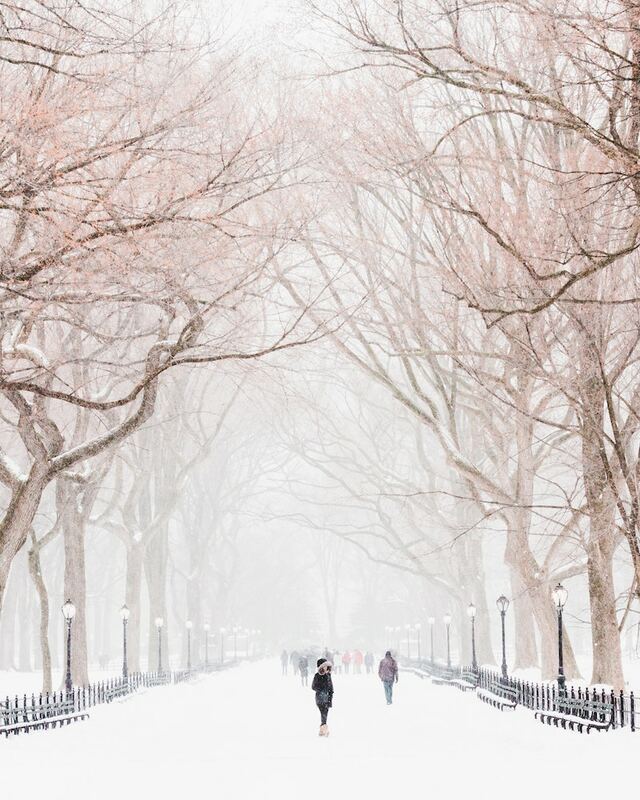 This enormous (500 acres to be exact) park runs from Lower Manhattan to Washington Square Park, with The Hudson River (locals just call it The Hudson) on one side and Riverside Drive on the other. 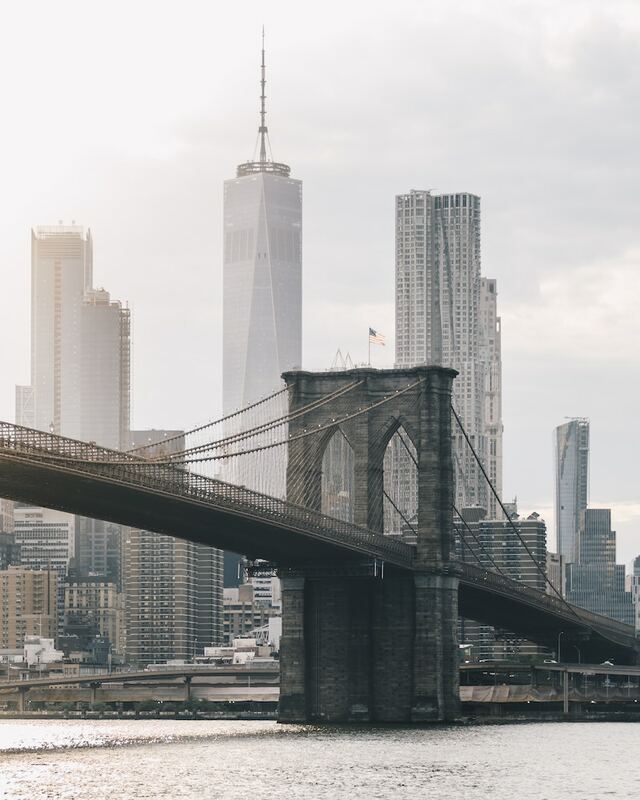 There’s plenty to do along the way: search for The Little Red Lighthouse at the Washington Height end, or get your Carrie Bradshaw on and try the trapeze at Pier 40. If you’re finishing up in Lower Manhattan, you can keep going all the way to Wall Street. Be sure to drop in on Dominique Ansel Bakery for a frozen s’more or Cronut. No visit to Brooklyn is complete without a lovely walk through the picturesque Prospect Park. Start at Machate Circle then meander through the park, stopping to admire lake, and make your way to Brooklyn Botanic Garden or Brooklyn Museum for some culture. If you find yourself there on a Sunday, make your way to Smorgasburg for a feed. Any other day, hightail it to Franklin Avenue and explore all of your drinking options. Head to Butter & Scotch for desserts and cocktails if you’re low on blood sugar, or The Crown Inn if you just want to rub shoulders with the locals over a beer. C’mon, you knew it was coming, right? 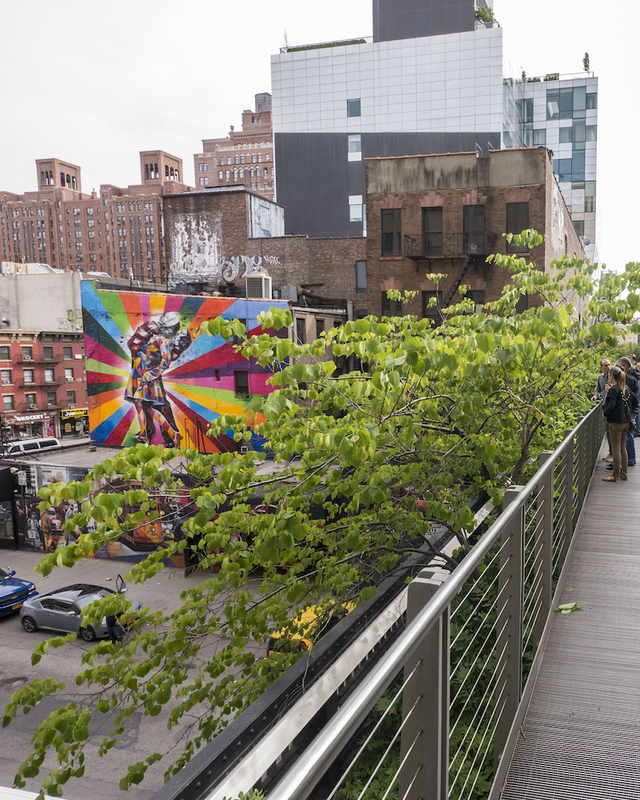 The High Line is a given for any NYC tourist. Take an easy stroll along the 1.5 mile ex-freight rail path that runs from Hudson Yards to Chelsea. There’s art installations along the way, as well as plenty of places to stop and take in the view. Tip: Avoid weekends during the day if possible, to avoid a sea of prams. Head to Artichoke Basille’s for a slice o’pizza afterwards. Or hit up Bathtub Gin for a good stiff cocktail. This is the other bridge in Brooklyn. It may be less top-of-mind, but it’s no less worth your time. The pink sister to The Brooklyn Bridge, The Williamsburg Bridge is pink, covered in all the graffiti you could need to gawk at, and plenty of great places to snack before and after. If you’re starting in the East Village, fuel up with a coffee and croissant from Supermoon Bakehouse, then reward yourself with a fried catfish sandwich from Pies ‘n’ Thighs. Come on. You gotta. Some may argue this is a given and had no place in a list about New York. But some can sit down and be schooled. Because Central Park is bigger than big, so you need to know where to focus your attention. If you’ve got time and you’re feeling all NYC’d out, make your way to The Ramble in the heart of the park, it’s a peaceful, dense spot that will make you forget there’s a city nearby. Otherwise, be sure to hit The Pond, Bethesda Terrace and Strawberry Fields for some truly iconic sights. Grab a hot dog or a pretzel from one of the squillion vendors when you need fuel. This is the other Fifth Avenue. The one without the boutiques. But it’s still great, which is why you should take a stroll down it. There’s no telling how long it will take, because there are so many places to pop your head into, but it’s the perfect combination of residential, trendy, and pretty. The kind of place that makes you say “I wonder how much it would be to rent a place around here” and then say “oh, never mind”. Console yourself with brunch at Miriam’s. If you don’t walk the Brooklyn Bridge, did you even go to New York? Of course you did, but this helps. Be warned: it’s busy, so do it early or do it midweek. You can do it in half an hour if you shove, but I recommend giving it an hour and taking your time. Take photos, bend down to pat dogs, stop and take in the views. When you’re done, get your behind to Grimaldi’s for a breakfast pizza. This is non-negotiable. Be sure to hit Brooklyn Bridge Park along the way, because it’s awesome. The Union Square Greenmarket is not a long walk, but it’s a lovely walk. And there is lots of food and flowers. There are different stalls and vendors depending on the day, but you’re always bound to stroll around and find something delicious. A wise person once told me that when it comes to travelling, the golden rule is “if you see a line, join it”, and I encourage you to live by this at Union Square Greenmarket. The locals know what they’re about. If there’s a more eye-popping, consumerist walk in New York, I don’t want to know about it. The stroll from Fifth Avenue will take you as long as it takes to pop in and out of the squillion stores, gawp (and potentially flip the bird) at Trump Tower, and take a detour to Eataly in Flatiron. Load up the credit card and put on the trainers, you’re going to rack up some serious steps on this one. Looking for more New York City inspo? Here's everything you need to do if you're in NYC on your own.